Motor City Travel services the global travel needs of businesses of all sizes and complexities. At Motor City Travel we understand the need for a corporate travel management partner that executes superior performance in all aspects of corporate travel services. Our 97.5% Customer Satisfaction rating is due to our focus on Customer Service and dedication to finding creative solutions. 98% of our clients return to do business with us again within the next year. We offer a flexible blend of traditional, high tech, and client-specific services. We employ a consultative approach to managing corporate business travel. Our multilingual corporate agents average 17 years of corporate travel services experience. Motor City Travel is a corporate travel agency that is large enough to have the expertise, technology, and services that you need, but small enough to offer the personalized service you deserve. By working in partnership with our corporate travel clients, we create best-in-class solutions one client at a time, providing the industry’s highest levels of services, safety, and savings. The icing on this digital cake is the newly developed AirPortal 360™. 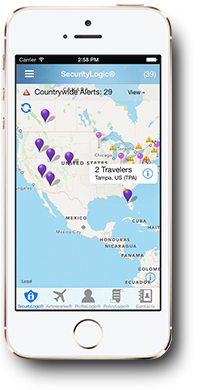 This provides travel managers with advanced tools to manage business travel spending, traveler security, unused tickets, traveler profiles, compliance, and more. The beauty of these second-generation travel portals is our single sign-on, fully integrated platform. In other words, you spend less time managing your business travel by spending less time managing the software. Every business travel agency promises great service, but Motor City Travel has the travel technology to back it up. Our leading-edge travel management tools enable us to provide fast, reliable assistance for all of your booking needs while ensuring compliance with your specific corporate travel policies. Through our integrated travel management software, AirPortal®, individual business travelers have instant access to itineraries, flight options, mobile syncing, and more. Want more information about how AirPortal® can save your business time and money? At Motor City Travel, we maximize our corporate clients’ business travel investments through the development of efficient business travel management programs. We look at each client’s travel and entertainment expenditures along with their projected budgets, travel policy, suppliers, processes, payments, and expenses in order to recommend solutions that meet each client’s dynamic goals and cost savings objectives. By working in partnership with our clients, Motor City Travel creates best-in-class solutions with relevant, actionable key performance indicators (KPIs) to assess and measure our joint performance. 18-22% savings on annual hotel spend through preferred vendor negotiations and managed policy compliance practices. 15-25% savings on airline spend from our unique proprietary tool, AirBank, an automated management program for unused, non-refundable tickets. 21% reduction in transaction fees with efficient automated processes. Average annual net savings (on all program costs) of 20% to 26% across all spend categories. It's not just about managing travel accounts. At Motor City Travel it's about maintaining relationships. Our comprehensive, consultative strategic approach meets our clients’ unique travel management objectives with measurable, proven results. Assess opportunities to create improved service solutions. Analyze purchasing patterns and expenses for savings opportunities. Negotiate vendor contracts for on-going cost reduction and effective supplier sourcing. Implement technology as it becomes available, affordable, and applicable. Manage and monitor contract benefits. Measure and report using accurate, actionable travel management data. From development to implementation, Motor City Travel’s Account Management team allows our clients to focus on the core aspects of business while we concentrate on the details of their travel programs. VIP Services: Motor City Travel’s Executive Service Desk (ESD) provides optimum quality and superior levels of service for the exclusive use of high level executives with demanding travel schedules and requirements that are beyond the scope of the traditional reservation process. 24/7 Traveler Assistance: Available to assist Motor City Travel travelers worldwide 24 hours per day, 7 days a week, 365 days a year, our after-hours/emergency service is staffed with hand-picked, expert staff offering multilingual capabilities and access to all major GDS systems. Global Reach/Local Expertise: As an affiliate of BCD Travel, one of the world’s largest travel management companies, Motor City Travel can offer a seamless global solution (including consolidated data at a multi-country level) in one language and currency. BCD’s offices are located in more than 110 countries with locations throughout Europe, the Americas, Asia-Pacific, the Middle East, and Africa. The Motor City Travel-BCD Travel partnership offers local expertise and responsiveness paired with global resources for the best combination of industry strength and travel management services. Implementation Track Record: Motor City Travel’s operations, technology, and account management teams manage the implementation process as a complete end-to-end project. We develop a plan that delivers a smooth, timely transition with measurable results. Motor City Travel understands that it takes an expert team to keep your business travel program running smoothly and cost effectively. That’s why no matter which combination of business travel services you choose—full-service, onsite, or online—we always include the added benefit of a dedicated account manager to offer their consultative services for the ultimate benefit of your business travel program. Oh, and let's not forget—this is in addition to our skilled and experienced travel advisors who work around the clock to find you the best flights and accommodations available. So regardless of the situation, we're right there to help, fix, plan, or advise. We like to think of it as our white-glove approach to handling your business travel needs. At Motor City Travel, we recognize the importance of backing up our claims with hard data. Through our comprehensive report aggregator DataLogic®, we provide our clients with easy access to an invaluable set of reporting tools and performance benchmarking analysis options. Among those tools are DataLogic’s travel spend tracking dashboard, ValueLogic®, Motor City Travel’s exclusive software that manages the ROI on your travel management program, and the integration of two leading travel management reporting tools, iBank and Prime Analytics. With this assembly of options, DataLogic really is the central source for all the reporting tools essential to managing a highly effective business travel program. ValueLogic measures the ROI on your travel management program. By choosing Motor City Travel, your company gets more than just our word that we are the cost-effective business travel partner of choice. With ValueLogic, you can asses the ROI of our TMC partnership through fully-customizable reports that show exactly how and where Motor City Travel is saving you money.